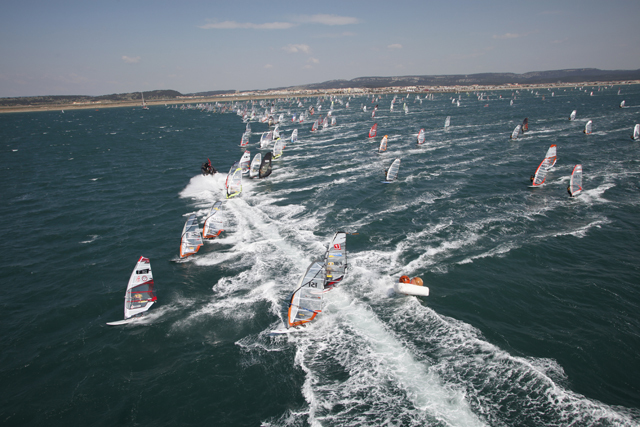 Men of Action will soon be flocking to the French town of Gruissan to take part in the Defi Wind, an amateur windsurfing competition. Nestled between the lakes of Southern France and the coast, this is a perfect location to get to capture this sport. The event will also host the Sailors are also encouraged to produce a six minute film displaying a variety of tricks and speeds to impress a jury. Windsurfing embodies elements of both surfing and sailing, but offers a very different and unique experience. The best five films of the competition will be announced on the 23rd May and will be shown on big screens during a windsurf party on 3rd June. Last year's winner of the competition was Frenchman Pierre Montefon, who braved exceptional weather conditions to emerge victorious. The judges decided that only the very elite top 50 compete as wind speeds were reaching over 60 knots. To get a sense of the impressive speed competitors reach, take a look at the video below.